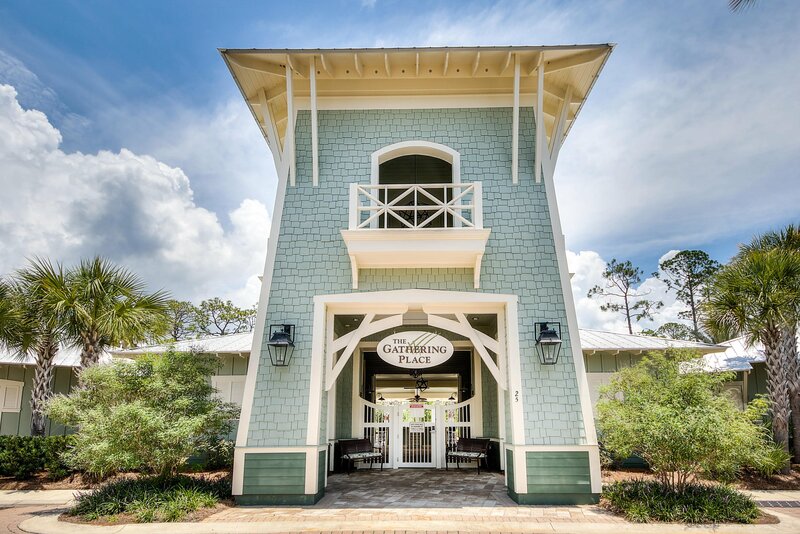 Unique floorplan in NatureWalk at Seagrove. 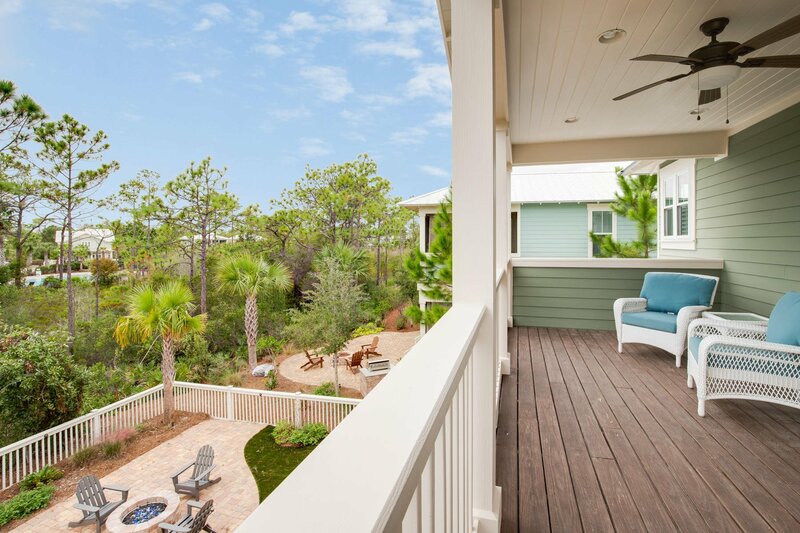 Homes like this do not come on the market frequently here- 3 doors down from boardwalk to pool, close to trail to beach, and situated on a sizeable homesite with gorgeous views (ESP sunset!) 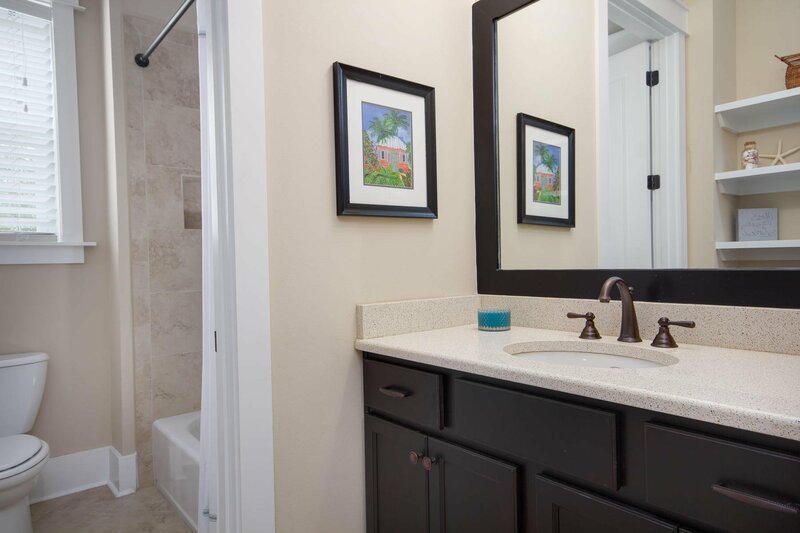 This home is offered furnished and has loads of upgrades you won't see in builder inventory- AND has never been rented. 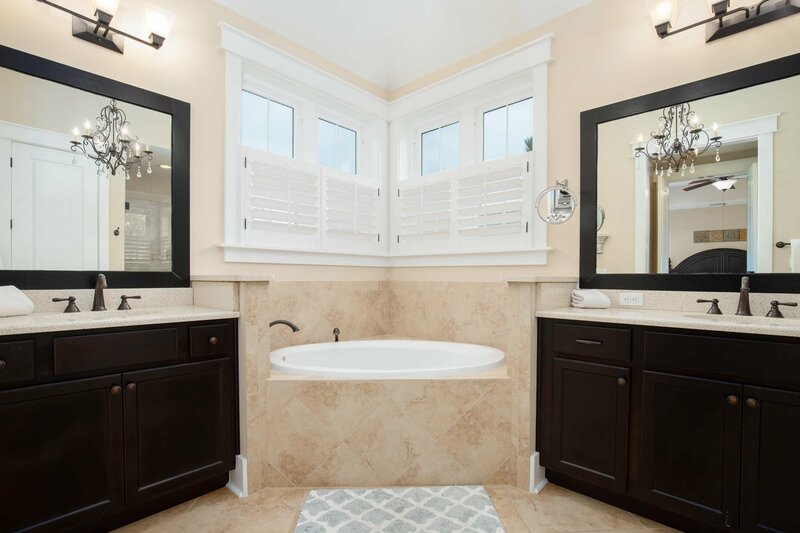 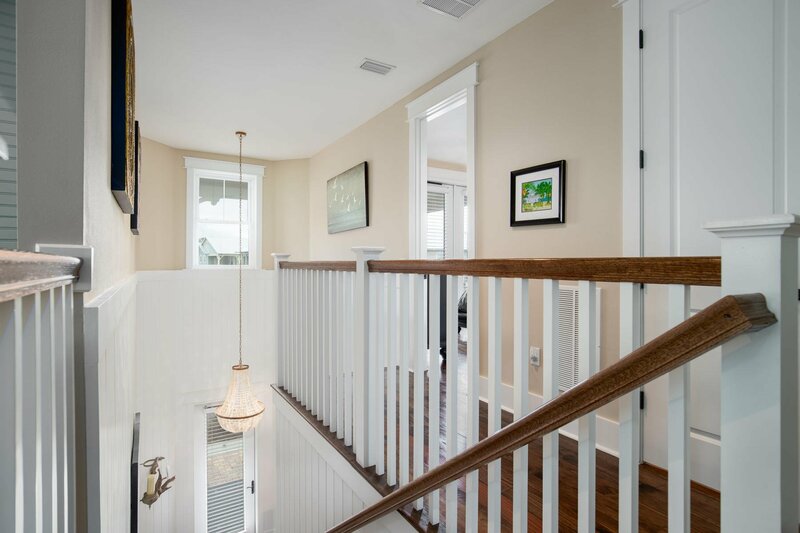 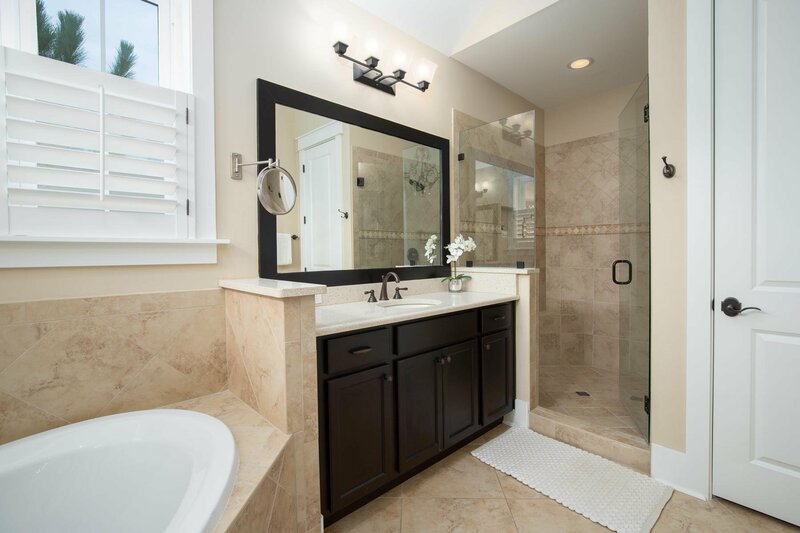 Walking in you'll notice dramatic 2 story foyer with guest suite and full bath off to one side. 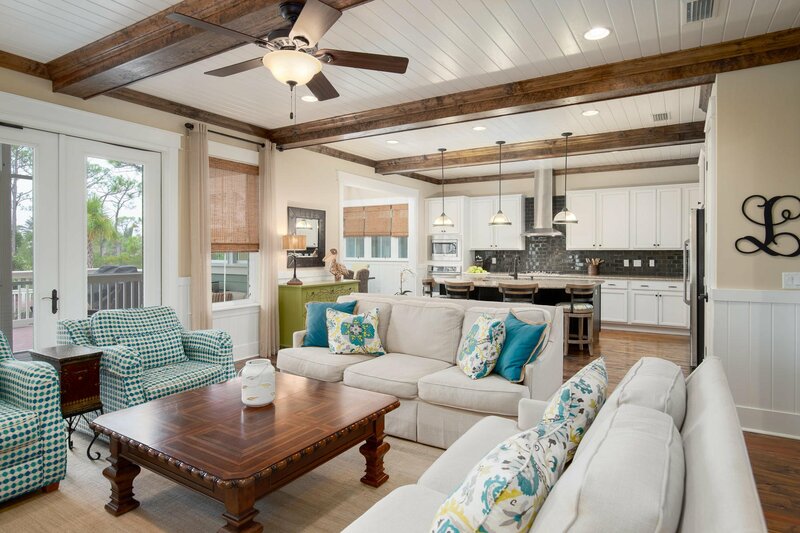 This home opens up into a very spacious, wide open family/ kitchen/ dining area. 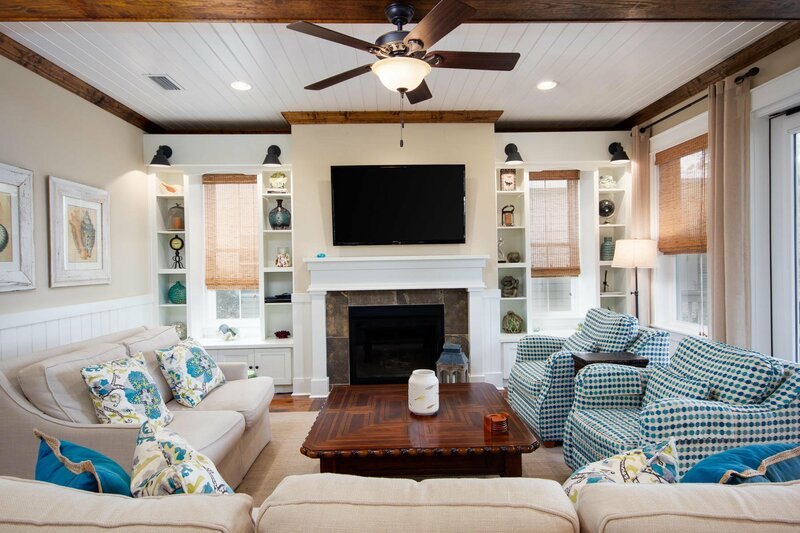 In the living room you'll find a fireplace with custom built in cabinets surrounding it & gorgeous beamed ceilings with vgroove. 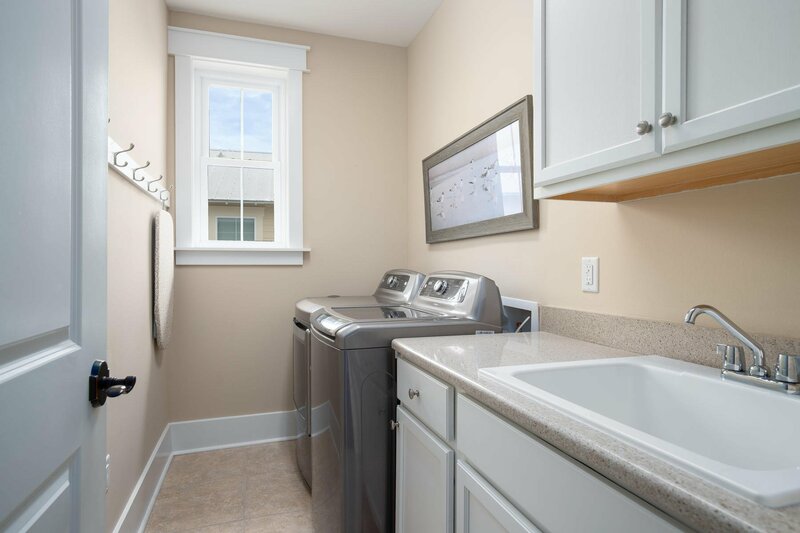 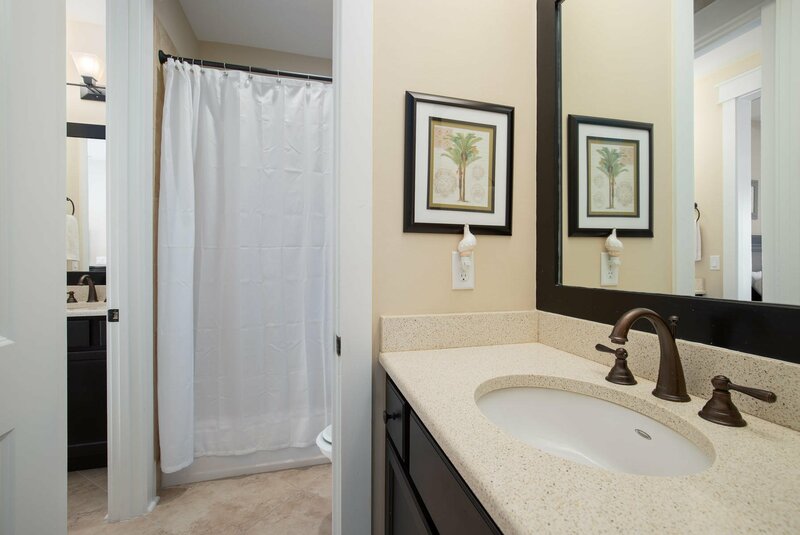 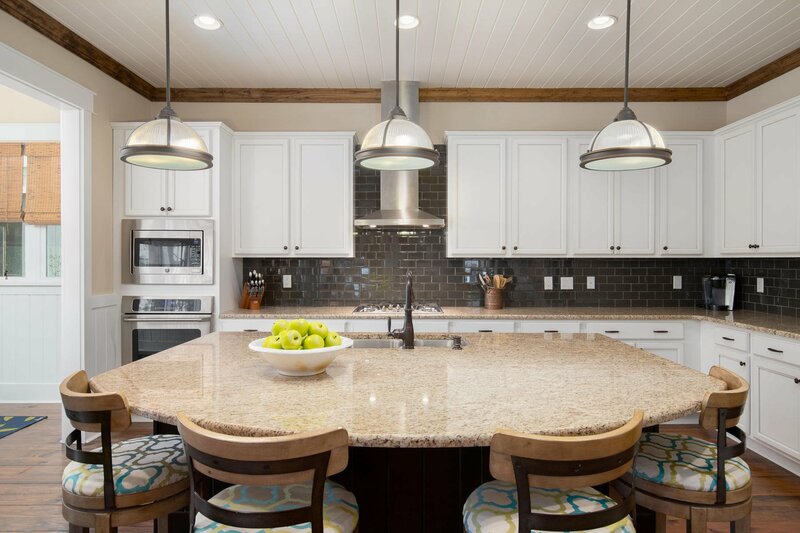 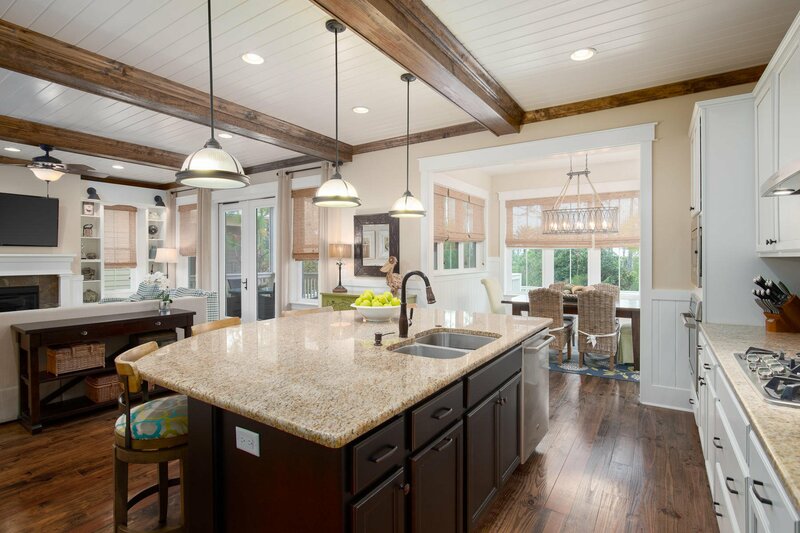 Kitchen is well appointed with glass backsplash, built in appliances w/ gas cooktop & spacious island. 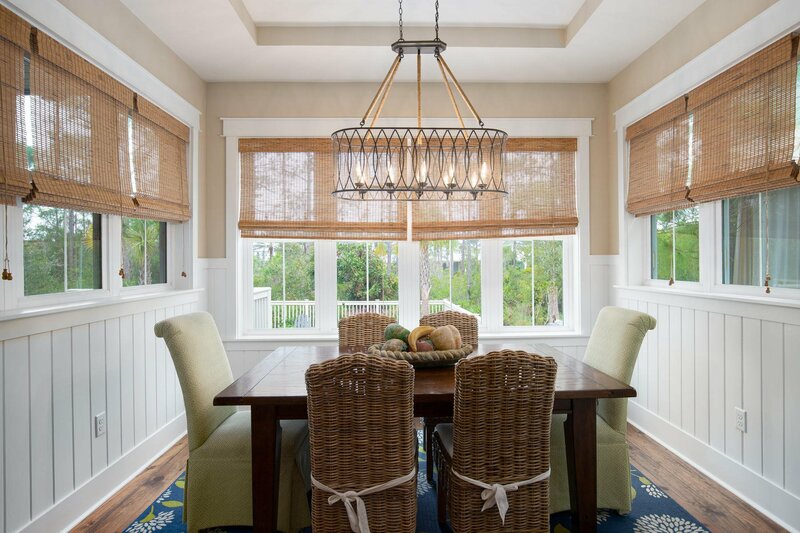 Dining room is situated to enjoy the gorgeous views to the back of the home. 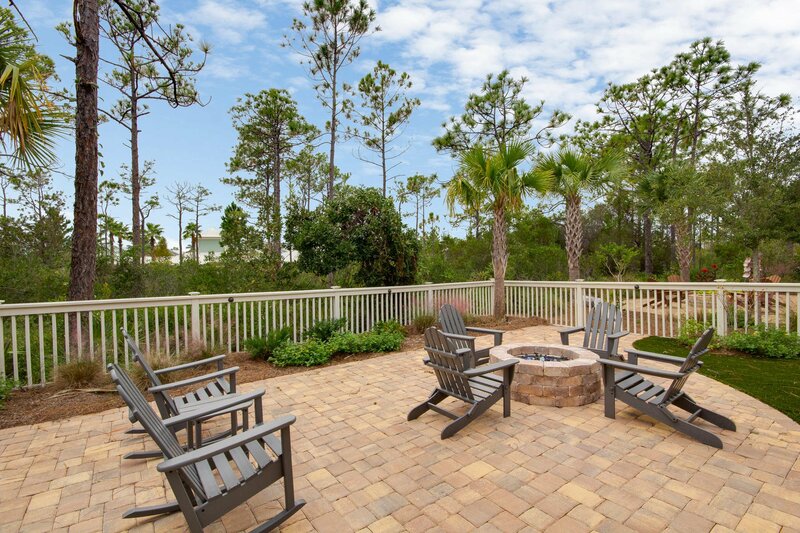 When you walk out the double doors to the backyard oasis you'll find several areas to enjoy the preserve behind the home- there's a covered area, sun deck area, and pavered section to gather around the gas firepit. 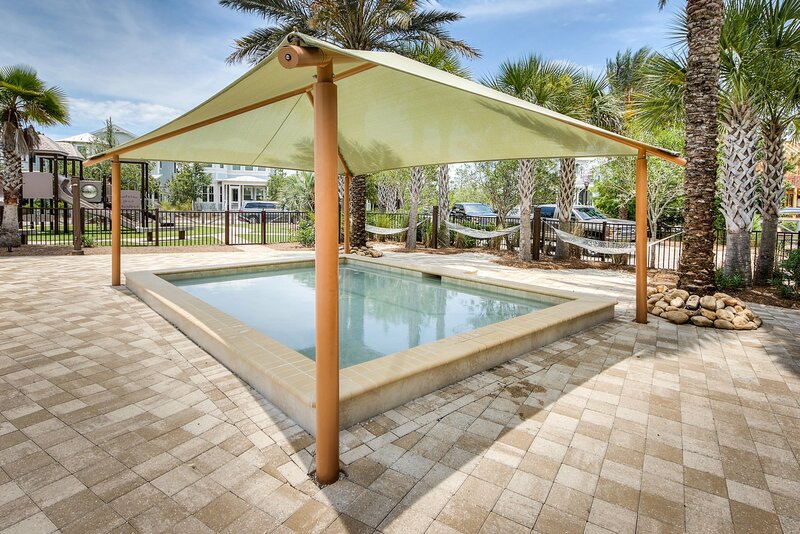 Also added- fence, synthetic grass, and a great locked storage for your personal belongings. 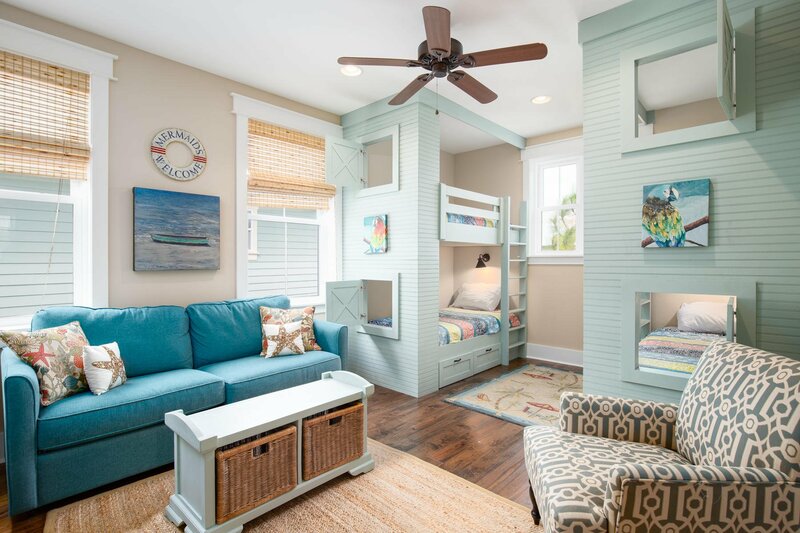 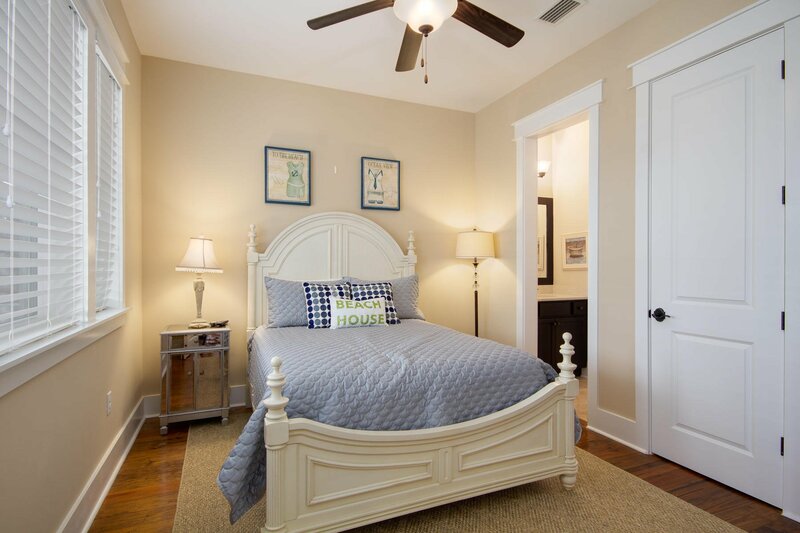 Upstairs you'll have an additional bedroom/ loft with 2 sets of built in (cabinet quality) bunks and master suite. 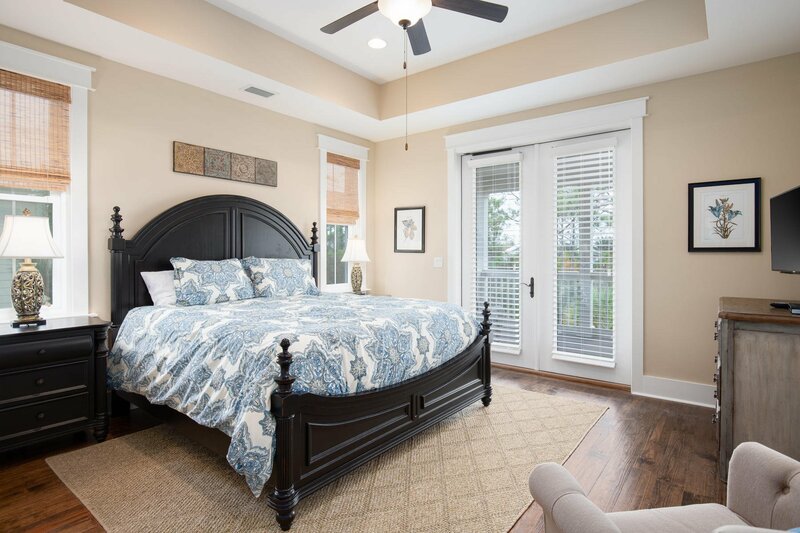 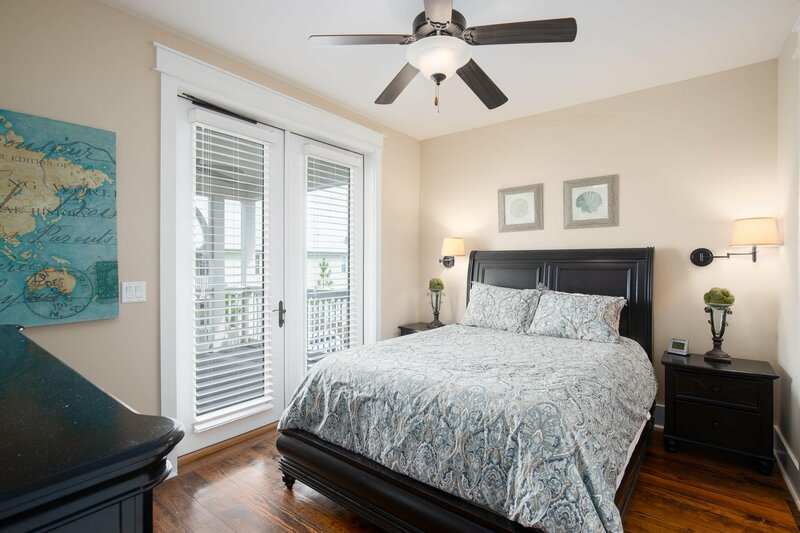 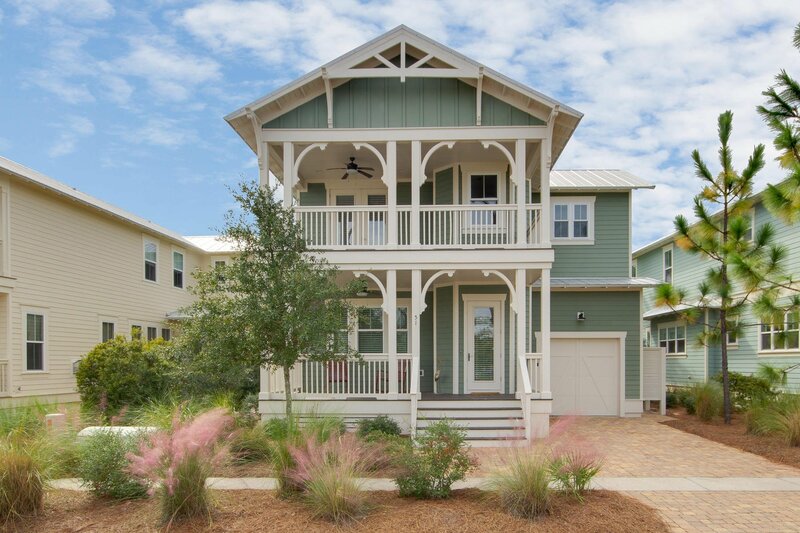 Porches galore on this home- enjoy coffee off your master suite porch, overlooking the peaceful preserve or sit out any of the other 3 covered porches and read a good book. 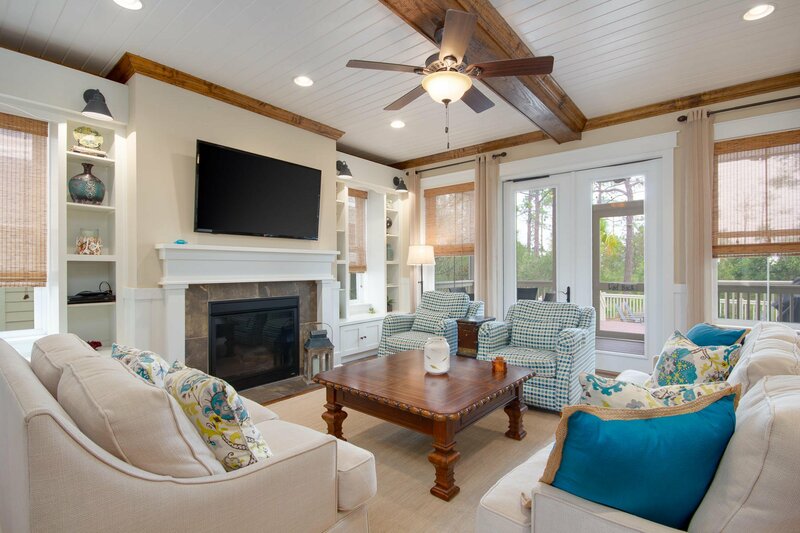 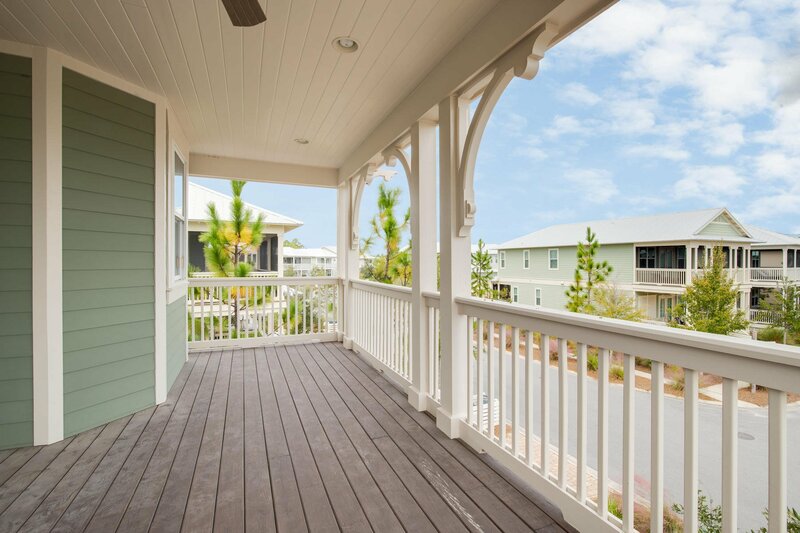 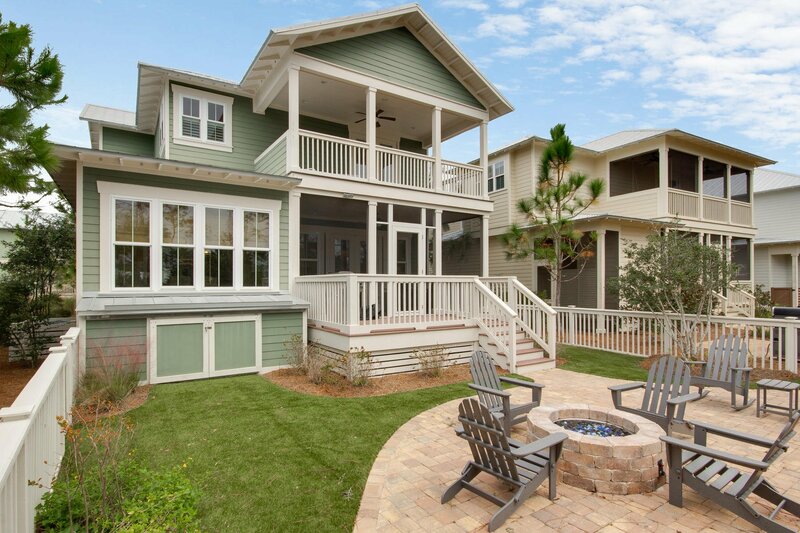 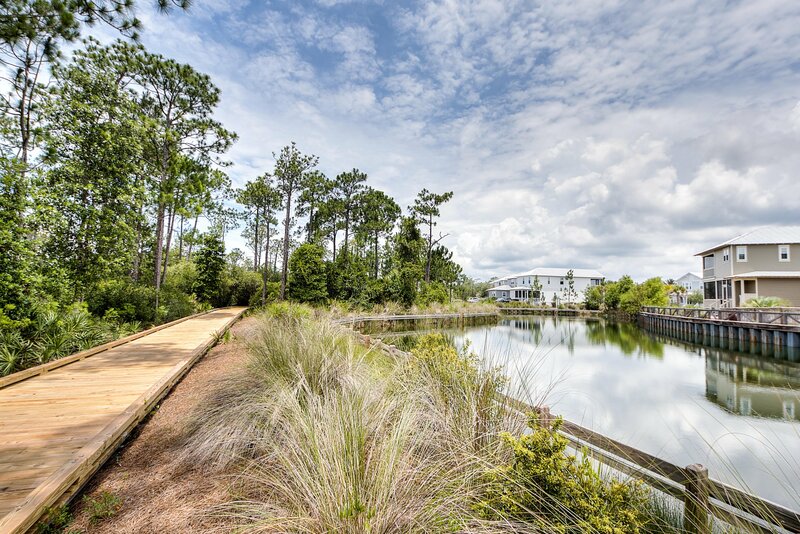 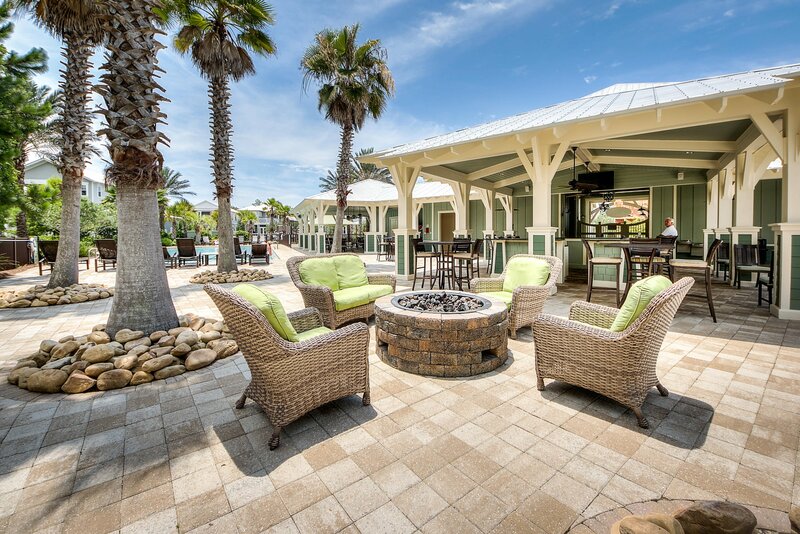 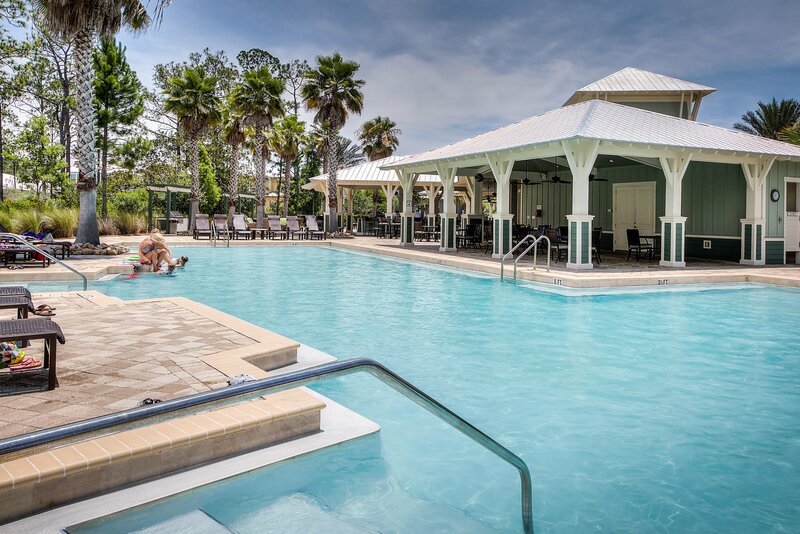 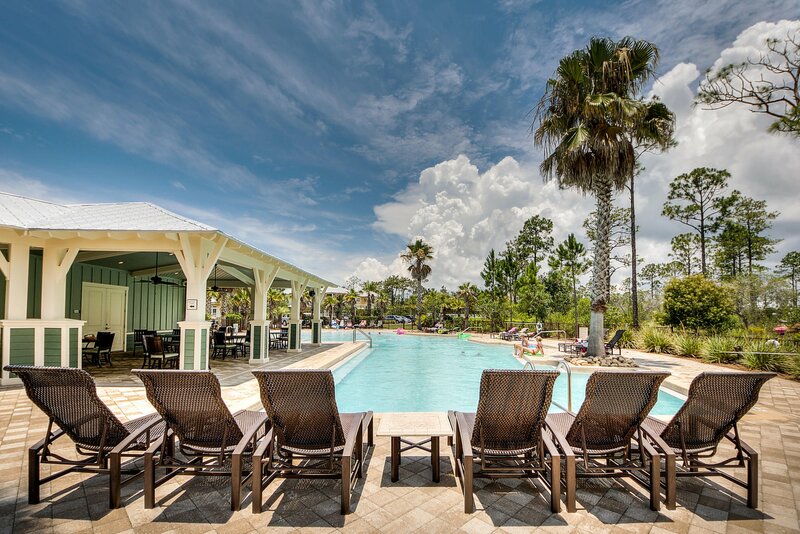 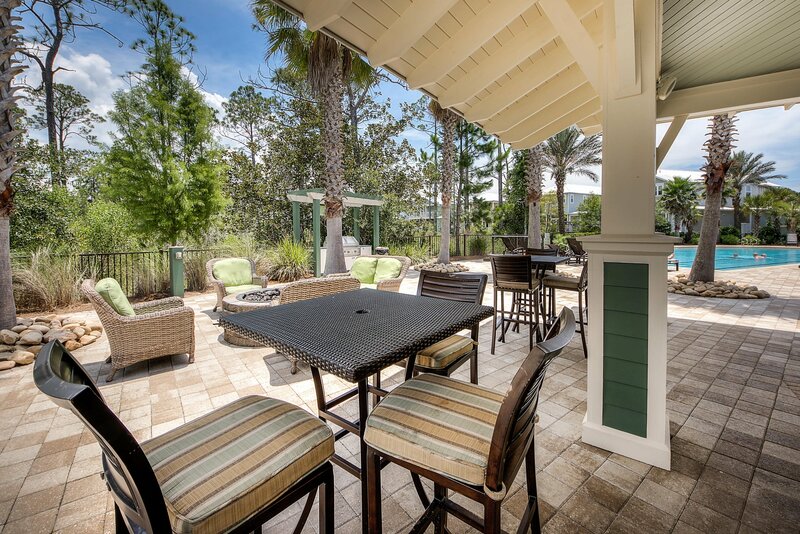 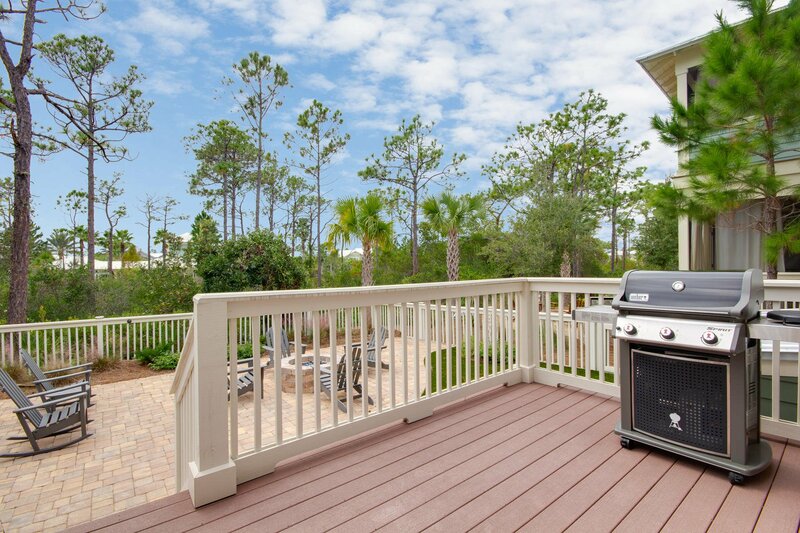 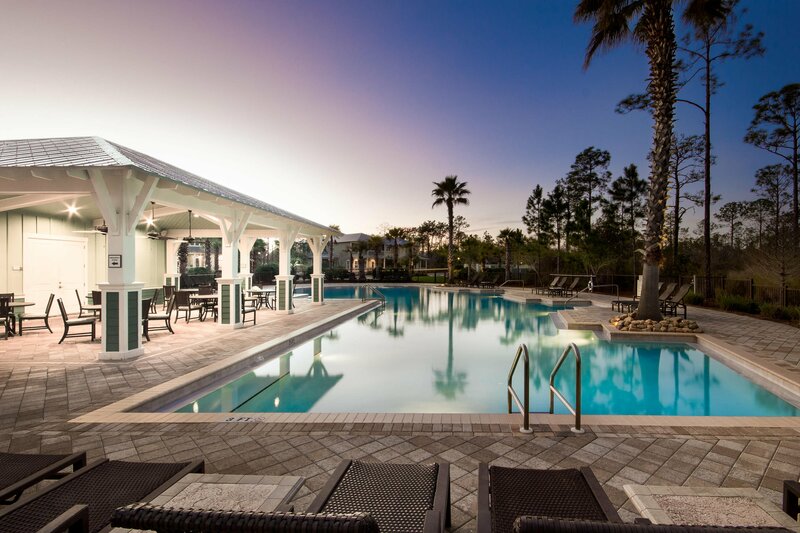 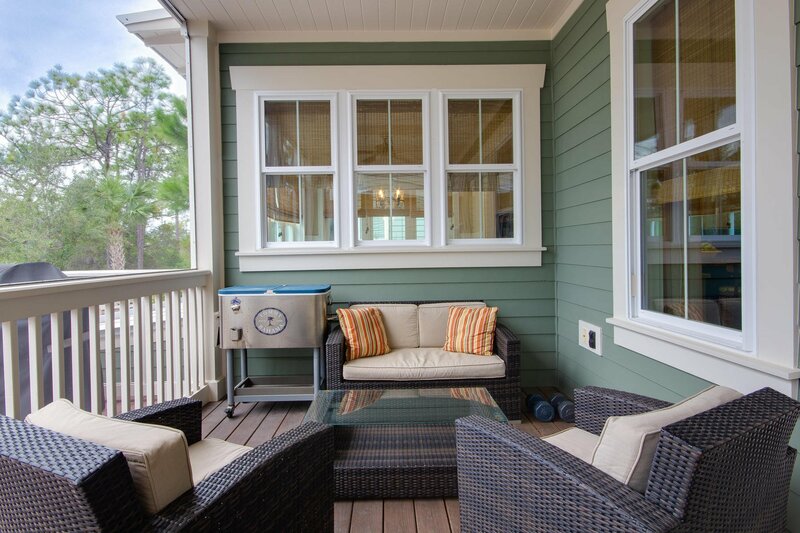 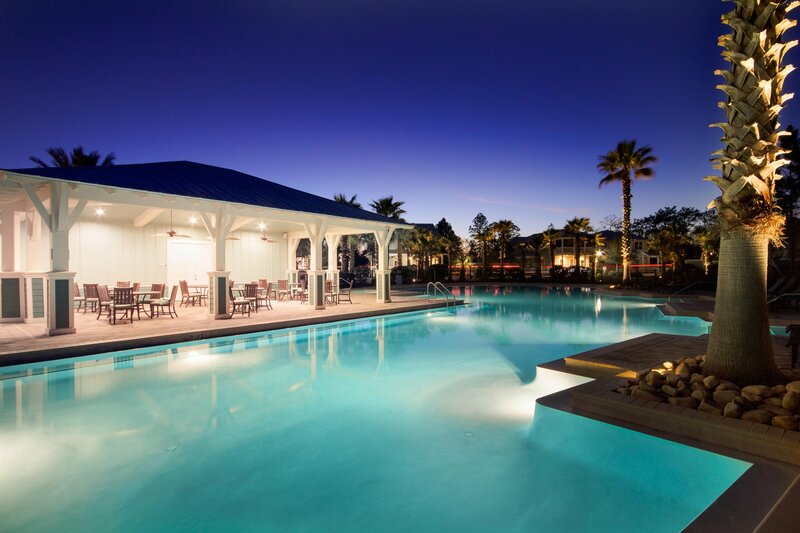 NatureWalk at Seagrove has become THE place to be near Seaside with the amenity-rich Gathering Place- complete with heated lap pool, hot tub, zero entry pool, fire pit, grills, and much more! 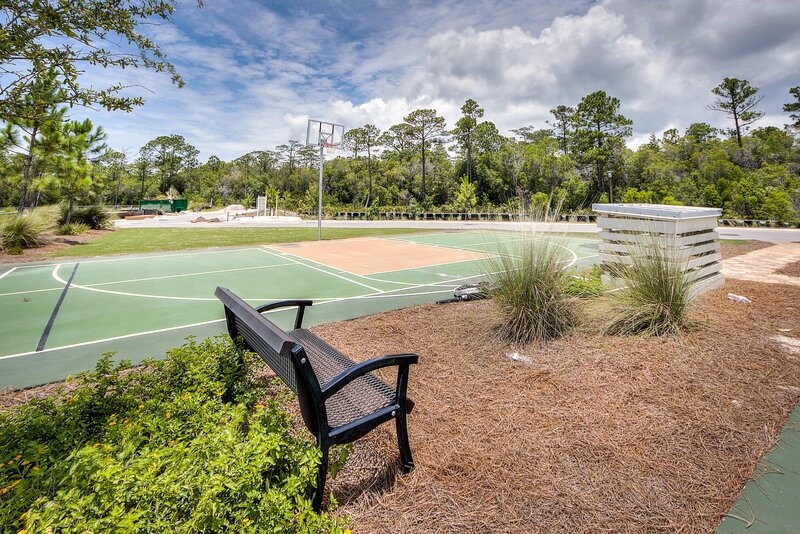 Additional amenities include trails throughout, Energi fitness stations, multi-purpose court, pickelball court, and more green space. 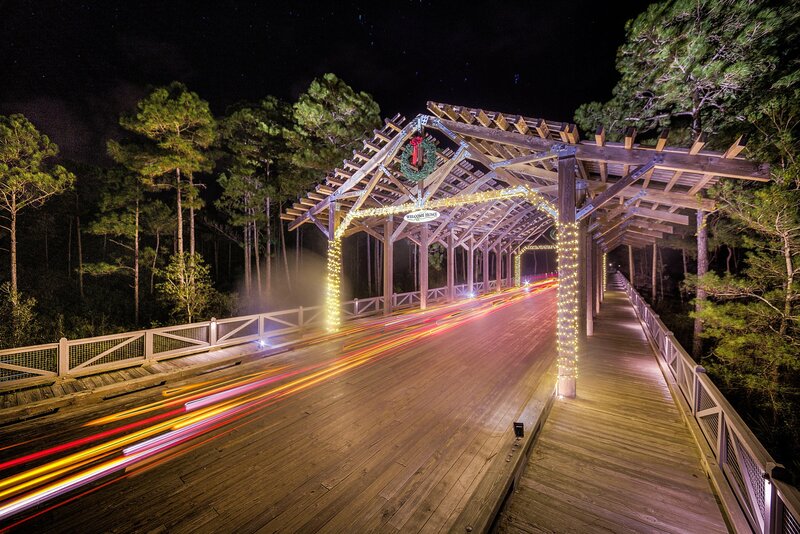 There is a trail through the forest to get to the beach- just under 1 mile! 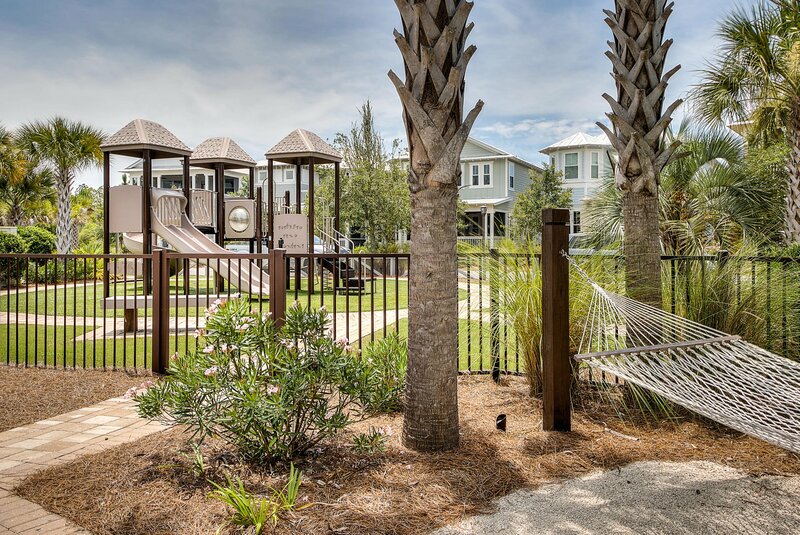 NatureWalk also has a seasonal beach shuttle running to and from the beach and Seaside! 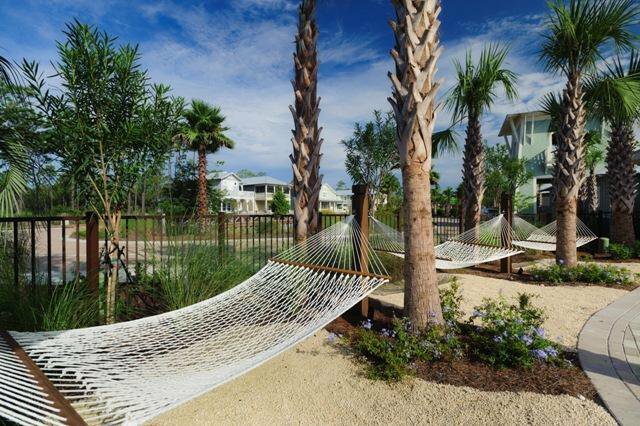 CDD BOND PAID OFF= lower taxes.